Standard magnification 20X/40X, if use auxiliary lens and other times eyepiece, the magnification range can be 5X ~ 160X. Standard working distance is 100mm, to create enough space for the uses. 10X large wide field eyepieces, FOV 20mm, plan and high eye-point design, more suitable for search and observation. 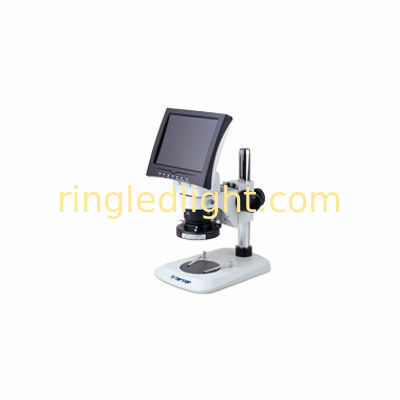 Observation head 45 ° inclined, diopter adjustment in two tubes, easy to operate and feel no fatigue when long time use. Ergonomics design, shift hand wheel level (axial) bilateral settings, high repeatability precision.